On August 23, after years of delays, the Ontario Superior Court began hearing a class action lawsuit launched on behalf of survivors of the Sixties Scoop. 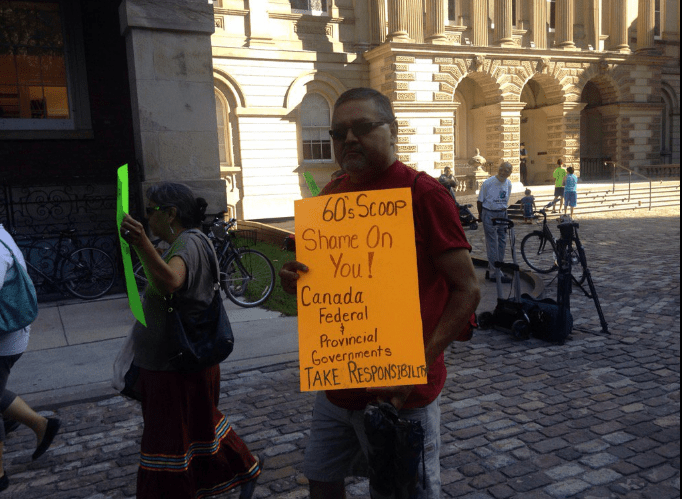 The “Scoop” refers to the thousands of First Nations, Métis, and Inuit children across Canada who were removed from their homes by child welfare workers between 1965 and 1985 and placed with non-indigenous families. In 2009, two survivors filed a class action suit against the Government of Canada on behalf of 16,000 survivors from Ontario. The class action lawsuit argues that the government failed to ensure that these indigenous children maintained their traditions, customs, and indigenous rights. Survivors and their supporters held a rally on August 23 to acknowledge the beginning of this landmark trial. The government will present their case in December. To learn more about the Sixties Scoop claim, visit www.sixtiesscoopclaim.com.